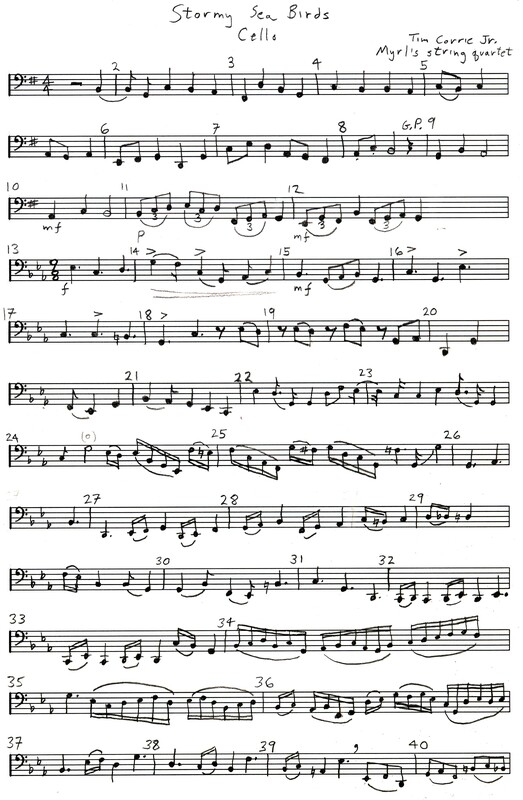 The following, although copyright is all free, just ask if you want sheet music, or feel free to take it if its on this webpage, feel free to create derivative works record performances etc, as long as any derivative work or recording includes this notice, and has no additional restrictions. last updated 01/02/2007 "Sleep Valla Sleep", Valkyrie the Romanian Cello, sings a lullaby to Valla the German Violin. 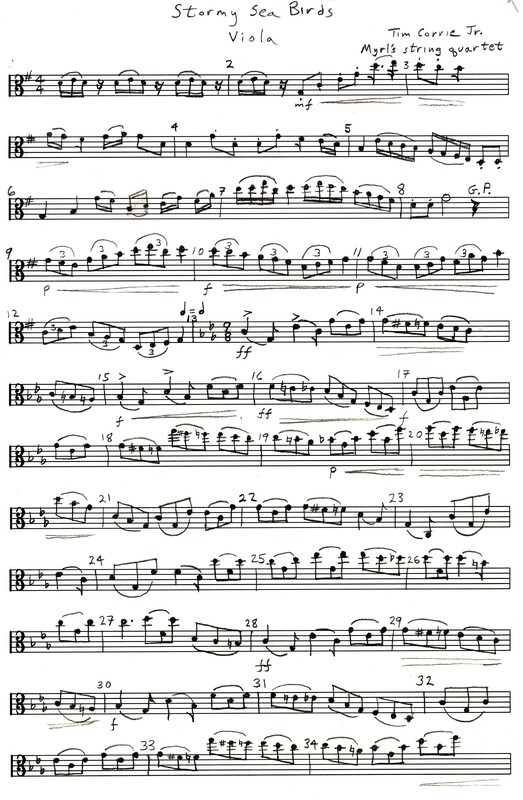 "Sleep Valla Sleep" Real Cello part (just the melody line) played by Tim Corrie Jr.
last updated 3/11/2008 "Bertrand the Sailor", Inspired I think, by too much Berlioz and Vivaldi. "Bertrand the Sailor." On 7/28/2007, and 3/11/2008 I changed several parts, I'm only keeping the orchestra version up to date. last updated 3/11/2008 "Bertrand the Sailor", Second Largo Movement. "Bertrand the Sailor." Please email me if you use this so I can let you know when I change stuff! 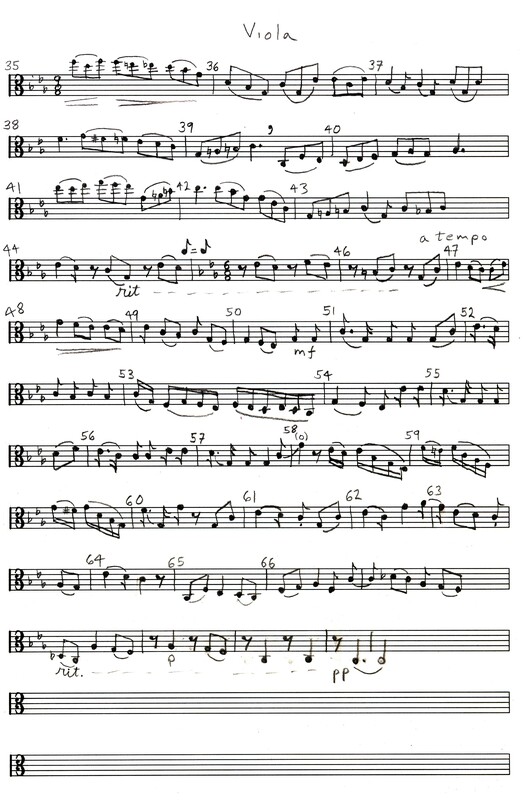 last updated 11/02/2006 "Starburst", apparently for 2 viola's (Key of C, C being the middle line on the viola clef, etc. etc.). 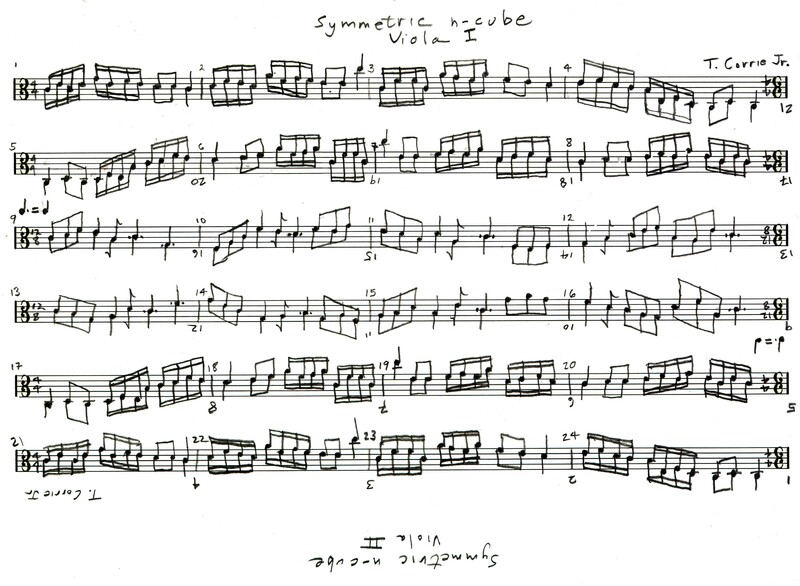 "Symmetric n-cube." 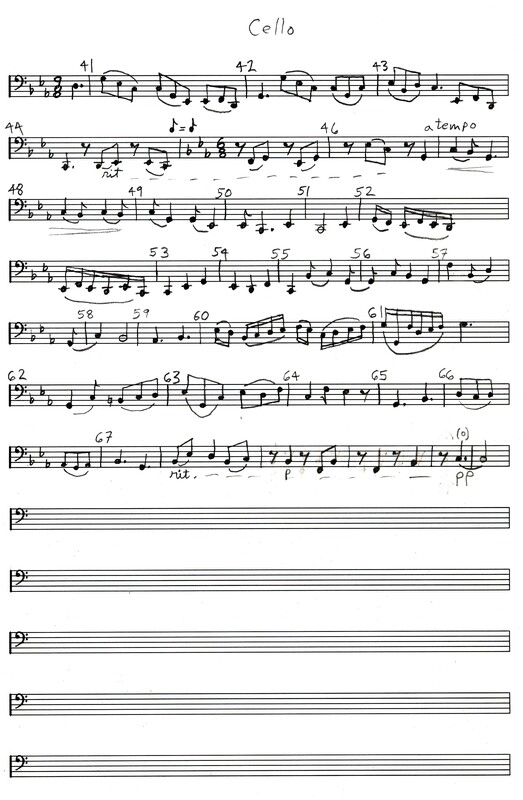 2 measures, slight change 4, flips, rotates and more now 2 parts 16 measures each, playable from only 16 measures viewed from top and bottom, later added central trio section, also symmetric in much the same way, now 24 measures(x2). "Symmetric n-cube." Timothy and Bruce are 8 and 6 1/2 as of Nov 2003. Sonorous Eastside Chamber orchestra, of which I'm a member. Serendipity Strings, Another Colleagues, String Quartet in the Seattle area.